Don’t be scared! 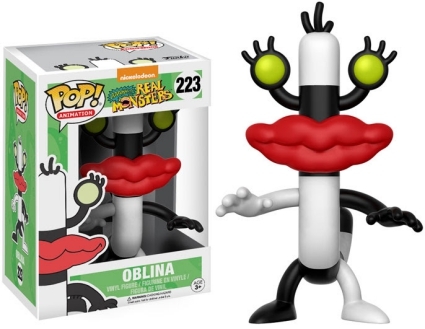 The Funko Pop Aaahh Real Monsters figures are just as charming as their small-screen originals. The set includes several options from the Nickelodeon cartoon. An animated staple of the 1990s, the series details what life is like for a monster-in-training. Every Monday, viewers tuned into Nick to watch Ickis, Oblina and Krumm learn how to scare humans in New York City. The same creative team behind Aaahh!!! Real Monsters was also responsible for Rugrats. Order Funko Aaahh!!! Real Monsters Figures on Entertainment Earth. 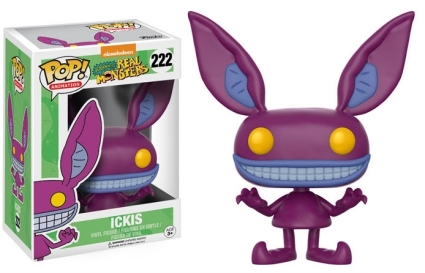 Ickis, who is often mistaken for a rabbit due to his over-sized ears, is shown in his "non-scare" form. Featuring jester-like feet, his body is deep purple with the inside of his ears and lips colored gray-lavender, while his eyes are bright yellow. 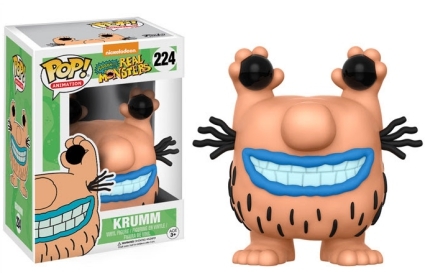 Krumm may reek, but his Funko Pop Aaahh Real Monsters figure is delightful! The short and hairy creature is holding his eyes in his hands—showing that infamous armpit hair—while flashing a big smile under a rather large nose. 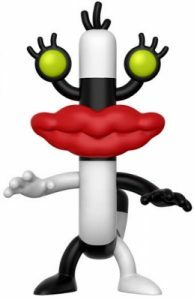 There is also the black-and-white striped Oblina standing with closed red lips, hiding her sharp teeth. In addition, she has a few thin strands of hair on her head and greenish eyes. Part of the main Pop! 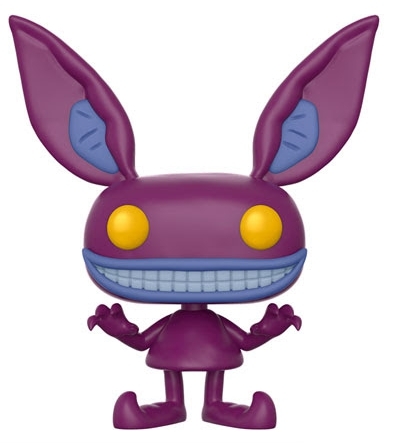 Animation line, the Funko Pop Aaahh Real Monsters vinyl figures appear to vary from the standard 3 3/4" size.